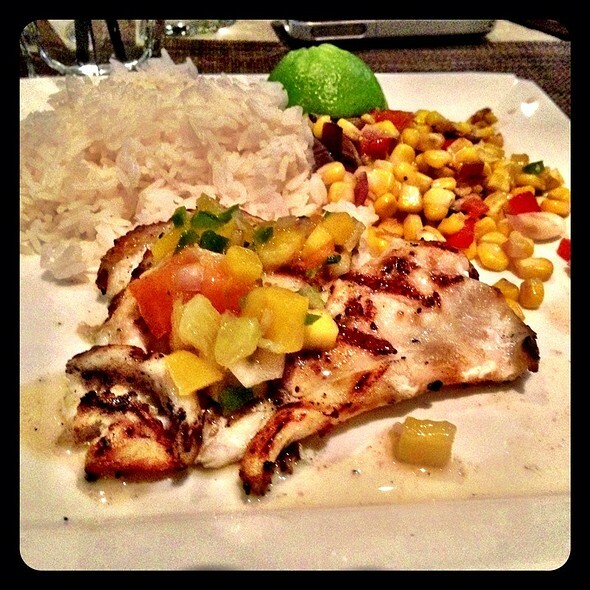 Welcome to Kona Grill in Oak Brook Promenade, conveniently located between the Oak Brook and Yorktown Center malls. We invite you to enjoy your local paradise after work or a day of shopping. Fresh, wild caught fish is flown in daily to craft award-winning sushi, while contemporary American entrees are prepared from scratch in-house. Be sure to try out our unrivaled happy hour. And don’t leave until you’ve tried one of the handcrafted cocktails, ice cold draft beer, or a glass of wine selected from the extensive drink menu. The restaurant’s diverse menu and contemporary ambience provide the perfect venue for special occasions like bridal showers, baby showers, birthday celebrations, business meetings, date night, or just any occasion really. We had reservations at 6:30, we arrived early, we were seated right away but we did not get service for 15 minutes and it seemed there was only one wait staff....We left and went across the parking lot to a lovely Italian restaurant. Will not be going back to Kona Grill............EVER! Great food, the shrimp poke had a little too much of the mayo other than that it was delicious! The red sangria was delicious and dangerous lol. I had put in the reservation notes that we were there celebrating our birthdays and 17 years of being friends but not once was it mentioned while we were there. I asked a question about a dish to see if it contained garlic and the waitress told me almost everything on the menu contained garlic. I have a sensitivity to garlic and need to stay away from it. I was shocked when my question was not answered even after I said I had a sensitivity. Food and Service is always excellent here! Service was not good at all! Food served, wanted to order additional sushi and don’t see server u til after we were completely done eating. Had a nice visit with friends during their happy hour 1/2 price appies. 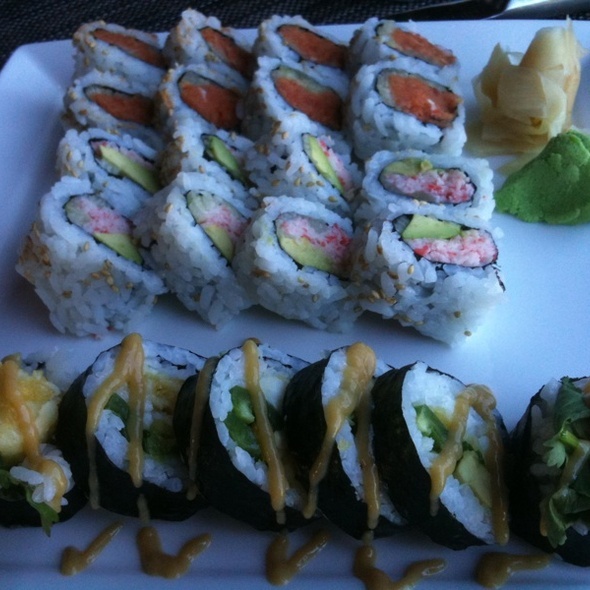 We ordered several appies and 3 different rolls. The food was very good. However the service was sort of slow for the few people on the patio that afternoon. The price was good and disabled parking if you need it is available. Nice Hawaiian decor restaurant with different seafood options. I appreciate how the Menu changes from time to time and has new items. Great food! Great atmosphere! Great service! And they take reservations which is ALWAYS helpful! I tried something other than a sushi roll and I was disappointed. It was a crab slider and it was overly salty, so much I couldn't taste the crab. The crab was so crispy I couldn't enjoy it. I left a whole one on the plate. The flatbread and sushi looked great. Birthday dinner...great drinks & best Brussels sprouts! Great happy hour specials! 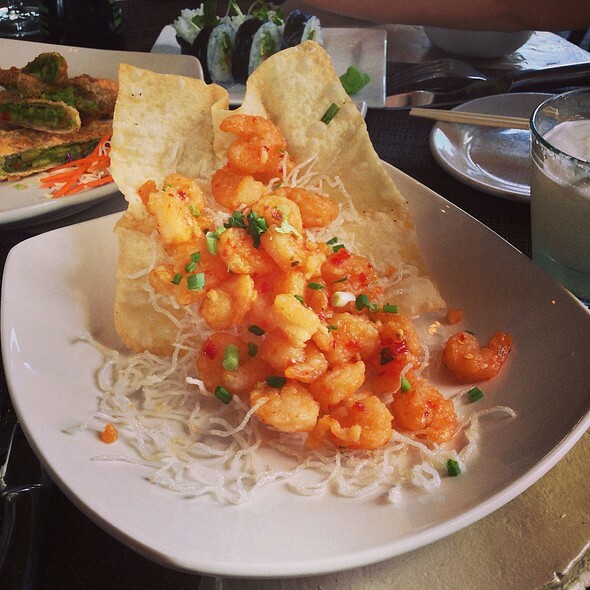 Great food, great drinks. As always the food and service for our dinner was top notch. This is one of our favorite places to go for dinner. Our waiter was especially cordial. Keep up the great job. First, I thought the restaurant smelled funny when we got there, like dirty water that they kept using to clean with. Second our service was not the greatest. We ended up having to wait long periods in between being checked on and at one point she asked if we wanted appetizers even though she already took our order for them? Finally I didn’t think the food was anything special. been here before , nice place ! had to move tables, didn’t like to be seating next to 3 loud toddlers. wanted a nice noon luncheon w my girlfriend. 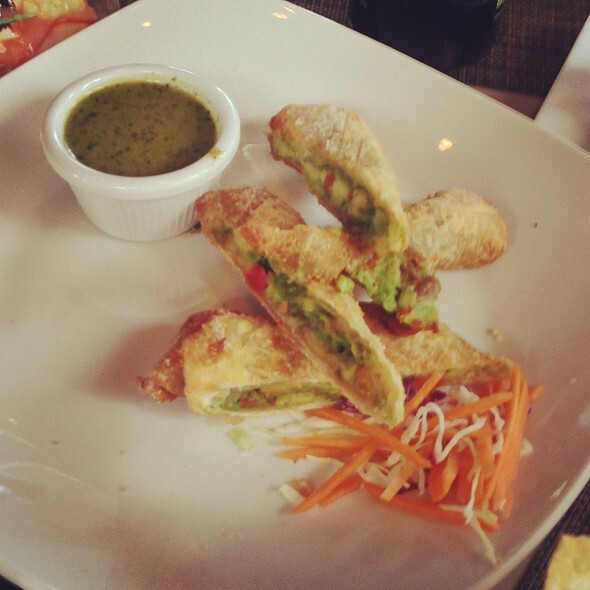 We started our meal with the avocado egg rolls, they were a bit bland though the cilantro honey dipping sauce was very tasteful. My husband greatly enjoyed his pants seared tuna and I would definitely order the macadamia nut chicken again! Fun atmosphere, great happy hour sushi specials and drinks were great. Had a really great time catching up with friends on the enclosed patio near the fireplace. Wasn't my first visit, will definitely return. 8 adults and 2 infants. 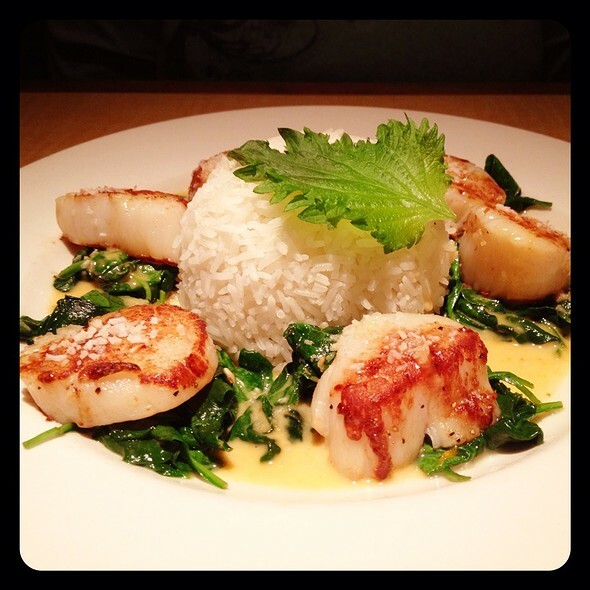 Staff was very accommodating, our server Mike was amazing, everything we ordered was delicious and came out quickly. All our friends were very happy with the restaurant choice, and we will definitely be back again soon! Went to Kona for a luncheon. 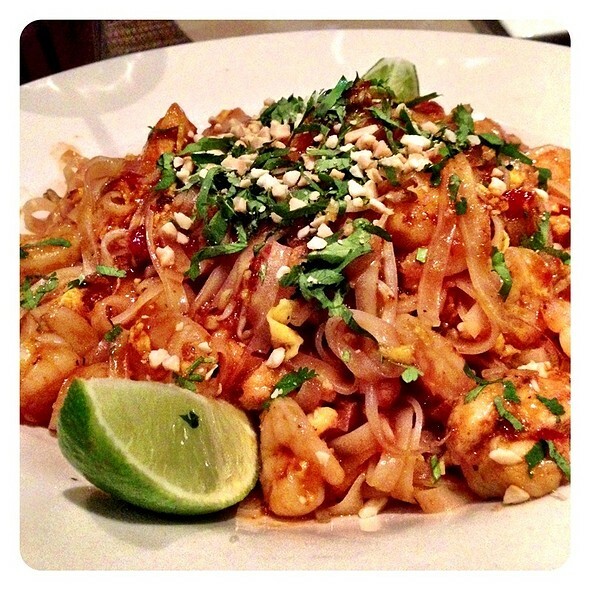 Really satisfied with the meal and we had an excellent server and enjoyed the experience. It would be a place that we would return to again. I liked the atmosphere. There is an outside patio which would be nice in the summer. Needed a fireplace. The food was just ok. Nothing special. Salmon was dry. Half of us were served and the other half about 10 minutes later. I had a mai tai which was terrible. My sister didn’t like her drink either. Our server, Mike, was great. We were celebrating 2 birthdays but they didn’t have any birthday dessert. It was too noisy for me to hear everyone in our party. This is not a place I will visit again. Service was so-so. Never asked for refills. The food was terrible. Not one person at our table (4) enjoyed their meals. The food was cold and tasteless. Reminded us of microwaved reheated food that had been sitting waiting for the server to bring it to us. Bar is fine but will not be dining there again. Good overpriced food, but service was terrible. Took forever to get drinks. Soy sauce wasn't brought out with the sushi. Wrong discount was explained and check had to be revised. Maybe a visit during happy hour, but the rest are just kinda sad. Extremely dirty. All of our menus had food stuck on them. All plates were dirty even after we asked them to replace them. Food is low quality at high price. It was a busy Saturday evening but my reservation was honored immediately and service was friendly, professional and quick. Servers checked in a few times to see if we wanted anything. I enjoyed the Cuban sandwich and my friend liked her salad and sushi. Kona Grill could be fabulous if they tried just a little harder. They are a unique restaurant with unique offerings. My issue is with the "macadamia nut crusted" chicken. Years ago it was outstanding. These days it appears to be nothing but breaded chicken. If it does hold any form of macadamia nut, it's microscopic. When my friend ordered her salad, she asked for two items on the side and only received one of the items when she got her salad. Keeping in mind the high price of salads, a person should receive every ingredient that makes up the salad. It's a gem of a restaurant, but it might need a little tweaking at this point in time. 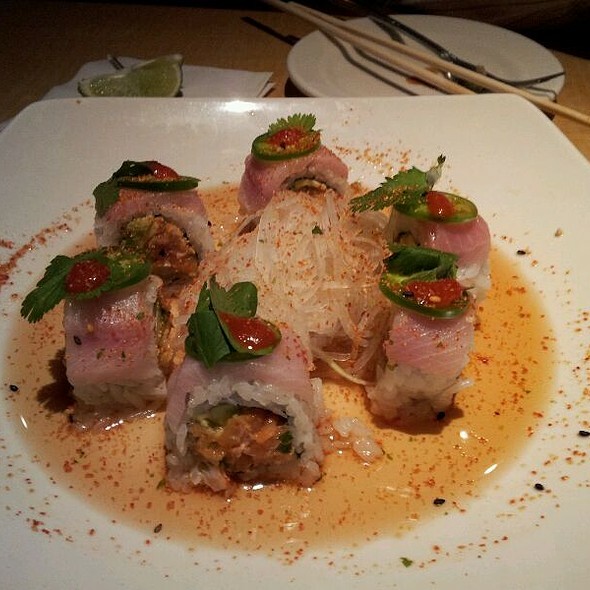 Kona is one of our favorite places to go to relax with friends! Pleasant surprise for happy hour, great service. many choices of food and drinka... enjoyed the evening. I'm wondering if you ever look at the Open Table requests - It was my daughters birthday and I made mention of that in the notes as well as the button on birthday celebration - nobody made any mention of that...kind of annoying. The waitress split the bill when she wasnt asked to and she split incorrectly embarrassing me and wife. Plus the other couple. Like the food but the waitress was horable. Steak was cold. Due to the slow service just ended up eating it. We went there for Valentine's day. The service was extremely poor and slow. We ordered sushi and soup. It took them close to 30 minutes to bring anything for us. They brought the sushi before the soup. When they dropped off the sushi, we had no plates, forks, chopsticks, etc. We had to wait for another 10 minutes, with the food on the table, before they brought us anything we could use to eat. Halfway in the middle of the sushi, and a good 45 minutes in to our seating, the soup showed up. I noticed the kitchen was backed up and people with suits running around. Apparently they had more customers than they wait staff and kitchen could handle. It would have been easier to deal with this if they had simply informed us that they were running late. First time there for dinner and it was loud. Kids everywhere making noise and crying. The host didn’t even walk us to our table. She led us through and pointed at our table. I asked for a booth away from the kids noise and was told they were reserved. I got back to my table and told the waitress we were leaving and to let me know how much for the two soft drinks. I got a bill for $7 plus so I left $10 and my wife and I left. Went to P.J. Chang’s across the street and waited for an hour to be seated. Much better place and I will definitely come back. Unfortunately I will never go back to Kona Grill. 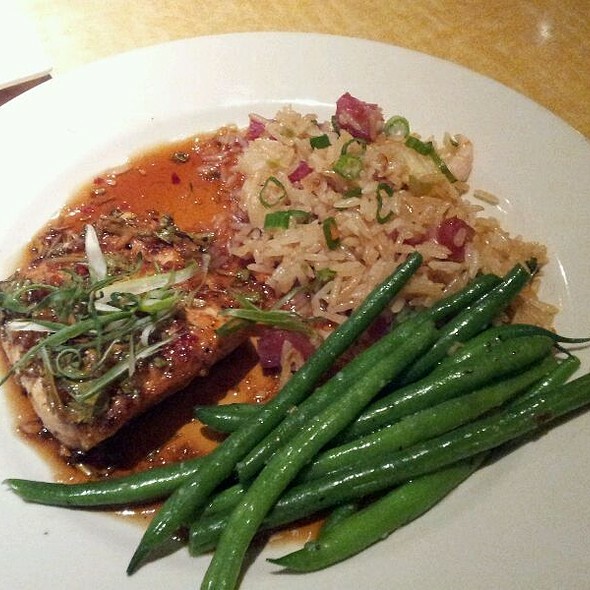 This was my first time dining at Kona Grill. We came for dinner on Valentine's Day when the restaurant was very busy. The server was very attentive and guided our dinner timing well. The sushi smelled a little fishy although it tasted fine. The oriental salad was just okay. I liked the slightly sweet oriental dressing and the salad crunch. I would go back another time when it wasn't so busy. This was our first time there. I made a reservation for valentine's day. We were seated at a table. I asked if we could be sat at one of the several open booths since my wife is 8 months pregnant and it would be more comfortable. I was told they were for reservations. I explained we had a reservation, but apparently ours wasn't important. Our appetizers along with every table around us took 30-40 mins, including a table by our who was there before us and got theirs after ours. The manager spoke to them and apologized, but never made another table visit. There were 4 managers on and at least 2 were FOH, yet not 1 stopped by any other table. I used to work all positions in the restaurant industry including management, so it was disappointing to see there wasn't even an emphasis placed on customer satisfaction. 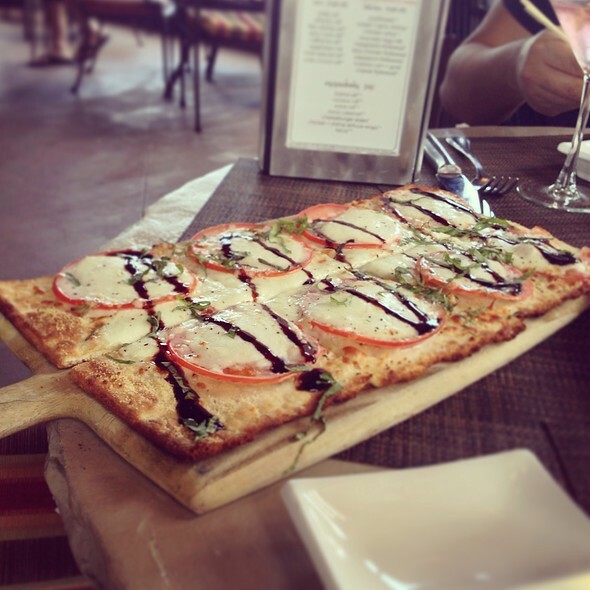 We got the margarita flatbread and the lettuce wraps for appetizers, and they tasted fantastic. Our entrees came out about 10 minutes after, and I could tell they were sitting under a heat lamp since a couple of the buns on the pork sliders were burnt in certain spots. I'm aware it's always rough on the server to decide to bring the food out giving the guest no time to eat the appetizers, or to place under the heat lamp for a short while. I picked the burnt spots off the buns and we ate our meal, pork sliders and the chicken sandwich. Both entrees were still good. We ordered a dessert which my wife ate and enjoyed. I asked for the check at the beginning of dessert since I noticed every table waiting excruciating times for their check. I witnessed tables waiving servers down, 1 parent going to the car with their kids while the husband continued waiting for the check, another gentleman after multiple attempts to waive had to tell loudly the get their attention, etc... It was valentine's day so as intold my wife, I would still come back here. The food was good and I'm sure the service would be better on another night.